To me, there is nothing more creepy than a Spider. If I see a spider in the house, I will kill it, no hesitation. If my youngest see’s a spider, she calls me and I kill it! I sometimes have to use a broom handle to knock it to the floor so I can reach it, but once it is in sight, I will squash it with toilet paper, then flush it down the loo! A few weeks ago however, we noticed we have a new house guest living just outside our living room window. Her name is Sybil and she is the ugliest Spider I have ever seen. 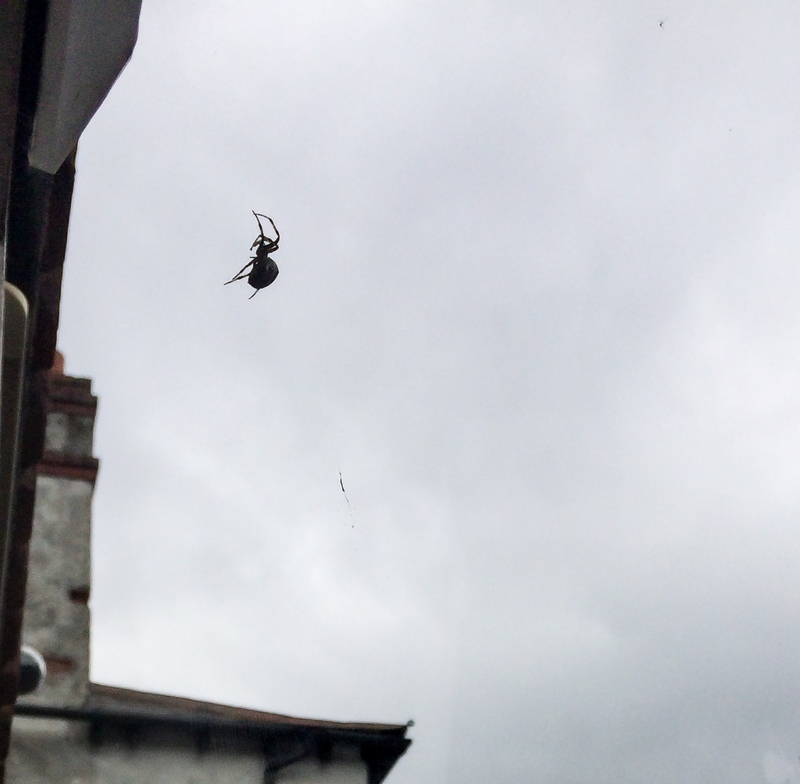 She has spun the most amazing web, several times actually, due to my silly Hubby opening the window or the rain washing part of it away. Yesterday, I shot a video of her killing a fly that was caught in her web. She literally rolled it up in front of my eyes and carried it to her little ‘look out’ den, just above the window. That was actually a pretty amazing thing to watch, despite the fact that she is seriously giving me the heebie jeebies! She literally sprinted down the web when the fly landed and in less than a minute, she had devoured the poor, unsuspecting, innocent little fly. … I think she is expecting! Her body is growing larger by the day. So here lies my dilemma. Can I really kill a pregnant spider? On the other hand, do I really want lots of baby Sybil’s crawling all over the house?